Bartholomew Faire is an early music group based in the Metro Phoenix, AZ area. 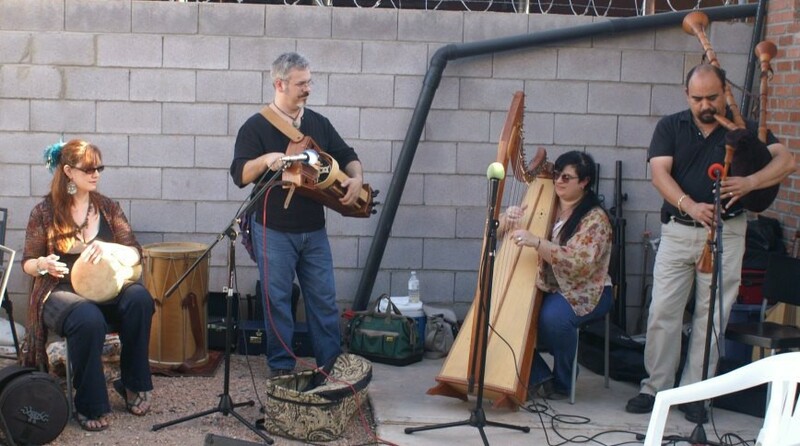 Bartholomew Faire specializes in the open-ended, historically inspired interpretation of medieval and renaissance music using a dazzling variety of authentic instruments. Bartholomew Faire presents themed concerts, elegant backdrop music on ‘soft’ instruments like the lute and harp for special events, as well as loud band “street music” for festivals, featuring bagpipes, shawms, and the pipe & tabor. A Bartholomew Faire performance is an event appealing to all ages and all audiences. The melodies and harmonies played on visually appealing instruments with distinctive sounds rouses curiosity, dancing, meditation, intrigue, and a nostalgia for centuries past. Bartholomew Faire have won audiences over everywhere they have played, from large stages, intimate coffeehouses, theatre productions, art galleries, outdoor events, house concerts… even at a car dealership! To find out what Bartholomew Faire is playing, and where’s they’ll be playing it, be sure to click on “BARTHOLOMEW FAIRE: NOW HEAR YE!” on this website. 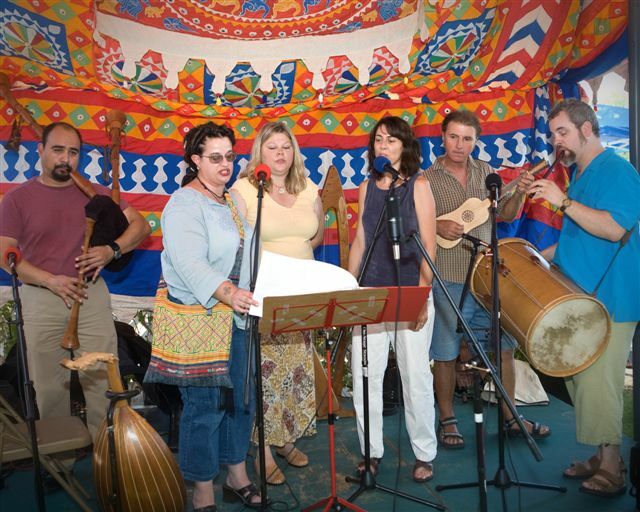 CANTIGAS & MIRACLES: Music of 13th century Spain, performed with an exotic blend of Muslim and Christian styles and instruments. A program that captures the vitality and energy of the dance music of 16th century France. 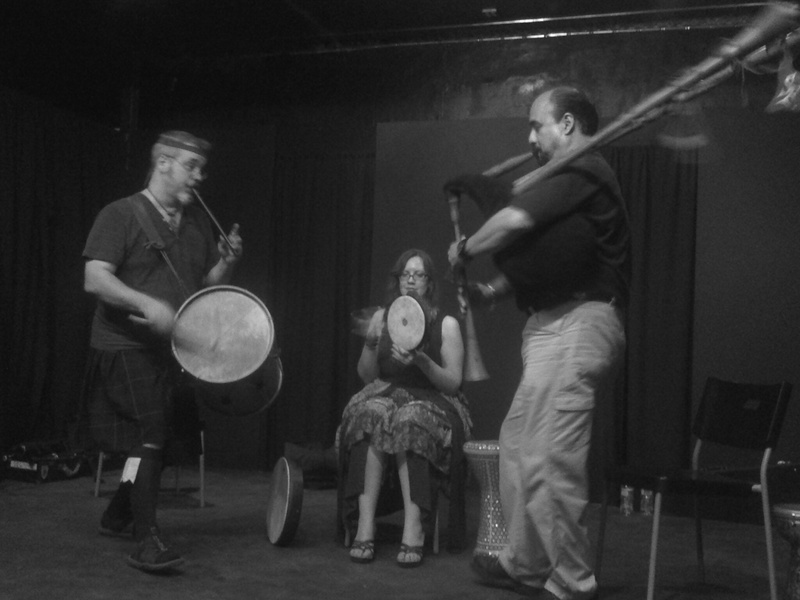 CELTIC PLAYFORD: The dance tunes of Playford’s English Dancing Master of the 17th century reveals popular Irish and Scottish influences. THE RED BOOK: Featuring the medieval pilgrim songs and dances from the famous Llibre Vermell manuscript of Montserrat. ORPHEUS OF IRELAND: The exciting melodies of Irish harper Turlough O’Carolan blend Celtic tradition with the bravura of Italian baroque music. THIS YULE: With readings and music, Bartholomew Faire presents Christmas songs, dances, characters, incantations, and verse from centuries past. About Stefan: his instruments and musicianship. Bartholomew Faire: NOW HEAR YE! Music lessons that blend the classic approach with contemporary needs. Presenting ancient instruments in the classroom, lecture hall… or anywhere!